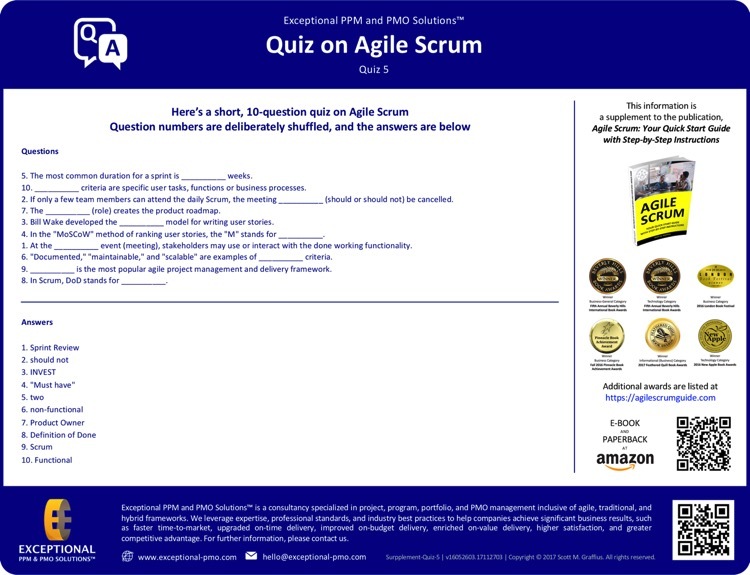 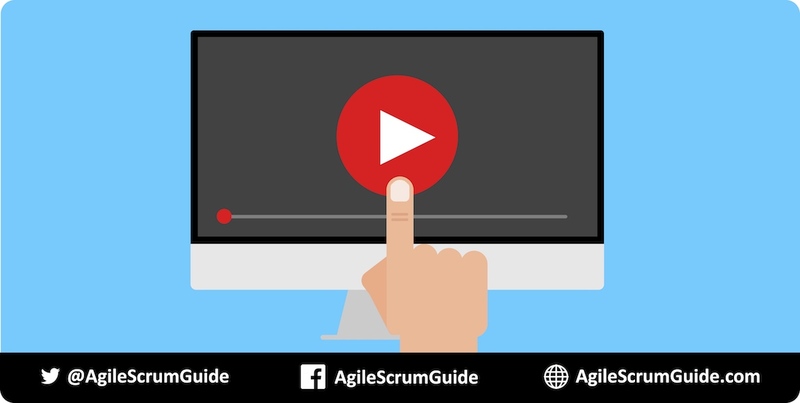 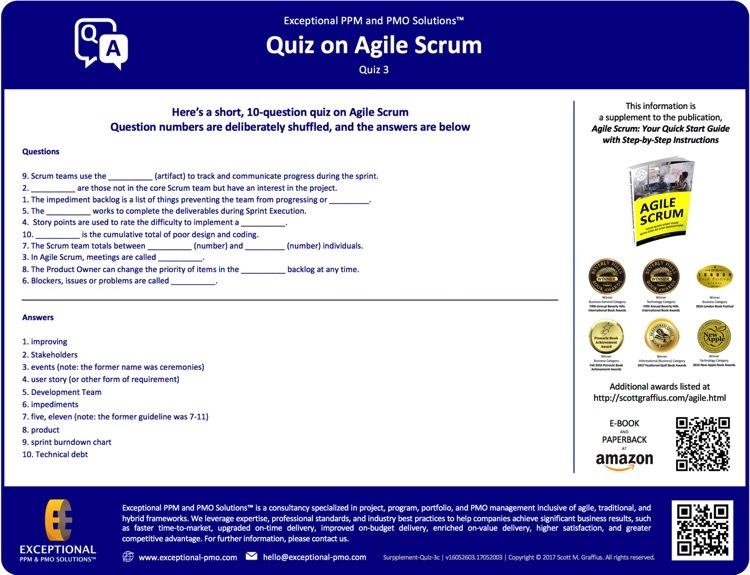 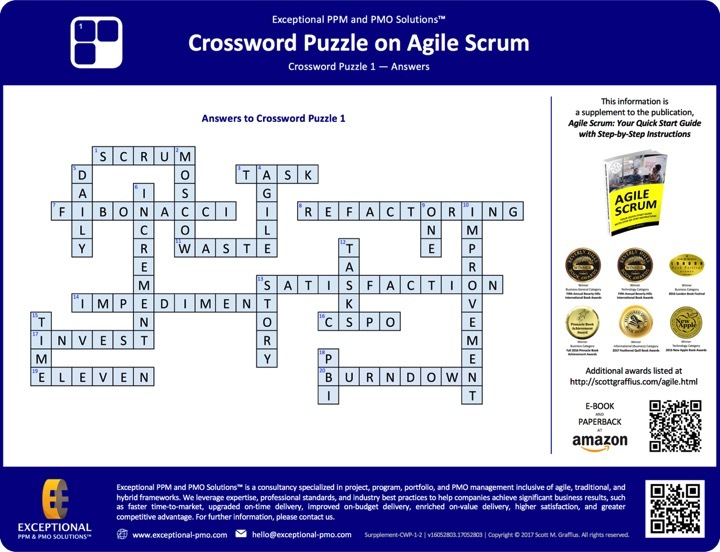 This page contains an ever-growing list of bonus material that comes free with your purchase of Agile Scrum: Your Quick Start Guide with Step-by-Step Instructions. If you have found this page but have not yet purchased the book, please do so now. It’s offered in ebook and paperback formats at Amazon. 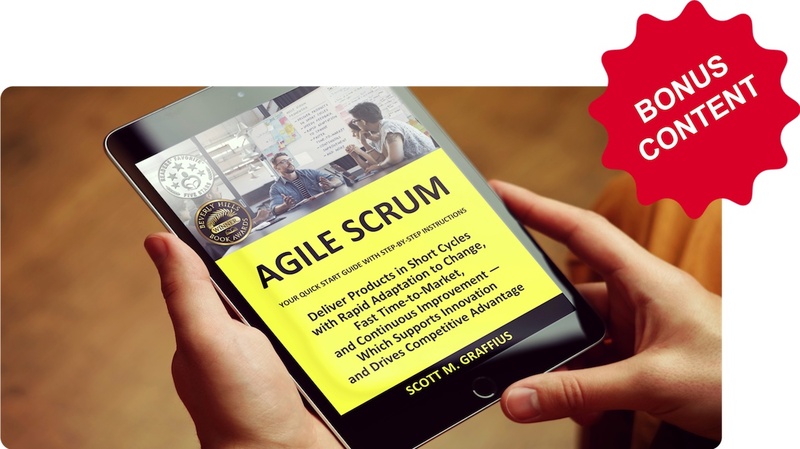 The publication is also available from Barnes & Noble, academic and independent bookstores, Ingram, Baker & Taylor, and other distributors and resellers. 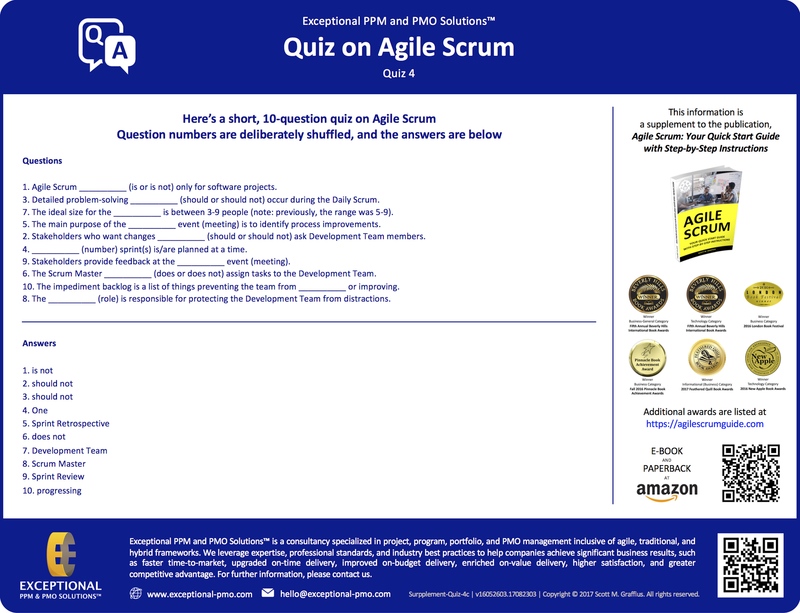 If you have not had a chance to do so already, please write a review of Agile Scrum: Your Quick Start Guide with Step-by-Step Instructions on Amazon. If you click on an image, a larger version will be displayed. 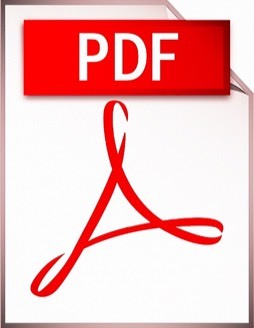 You can then save it to your computer. If you’d like so see updated digital media kit for the book, visit https://AgileScrumGuide.com.